We offer regular maintenance and preventative services to help you keep your teeth and mouth healthy. 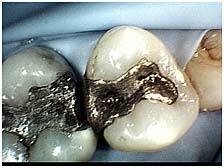 We treat conservatively, so we will treat decay with tooth coloured fillings. We have been doing composite fillings since 1990, as we believe that being able to bond the filling to the tooth adhesively makes the tooth stronger than with metal fillings. 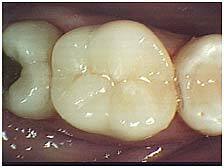 If a filling gets so large that it replaces most of the original tooth structure, we provide crowns (also known as caps) to cover over and make the tooth as strong as possible. Sometimes, the nerve of the tooth begins to die, or has died. In these cases, the dead nerve must be removed so that the body can get rid of the infection. 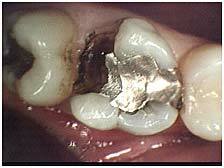 This is what a root canal entails. The tissues are accessed, and then filed out, and then filled to create a seal at the end of the root. The body will heal the rest if the seal is good. We will refer to an endodontist if the case is more complicated to create that seal. Endodontists are specialists at root canals, and can do a better job in less time for these more difficult cases. When a tooth is lost, we can replace that tooth with an implant supported crown. We do not place the actual implants, as we want the best possible foundation for the crown, so we will refer to dentists that have much more experience in that field. We will, however, be able to make the crown that attaches to the implant. Before implants were as mainstream as today, we used to place bridges across spans that were missing teeth. Bridges do work, but they join teeth together that want to move independently, so one side of the bridge eventually loosens and the bridge fails. 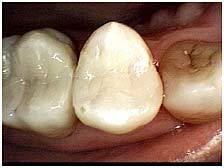 We also believe that it is not conservative to cut down the adjacent two teeth to replace the one missing tooth. We also offer cosmetic procedures such as veneers or take-home whitening kits. We do some minor orthodontic tooth movements, but will refer to our capable specialist for full cases. It may seem like we send a lot of our work out to other sources, but we believe that it’s more important that the patient gets the best possible treatment for their dental needs.